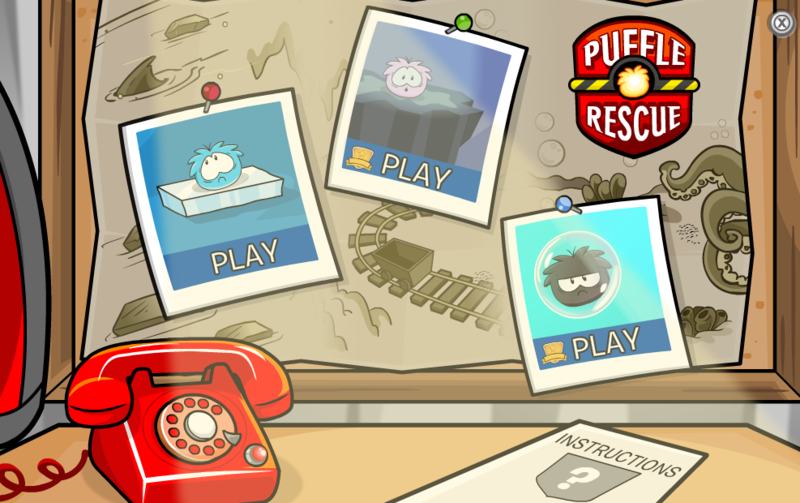 Puffle Rescue is a fun little game where your penguin has to cross lakes and ice to rescue the stranded puffle. If you want to relax and let the time pass by while you wait for your friend to get on Club Penguin, then this is the game for you! 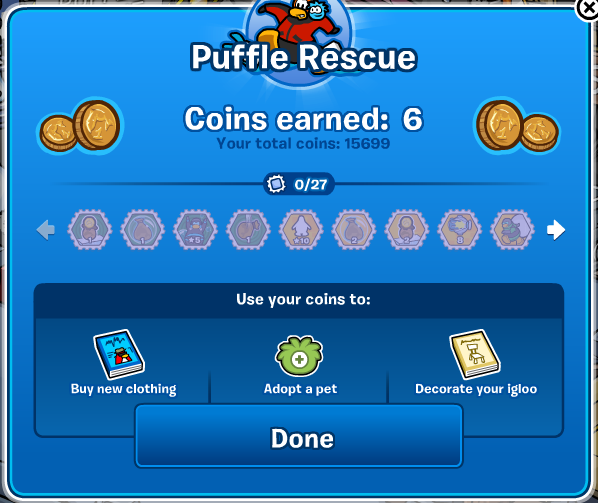 Below is my Puffle Rescue Guide along with some cheats. First Step: Open your map and click on the "Mine" icon. Second Step: Go inside the Mine and click on the board with pictures. Third Step: Choose which game you would like to play. - To move your penguin simply use the arrow keys on your keyboard. You cannot use the W, A, S, D keys for this game. - To get across the water you must walk on top of the floating ice. - Be sure to not land on the cracked ice because you will fall. - Don't touch the big red balls because they will surely push you into the water. - Watch out for the ice eating shark. He'll eat the ice that you're standing on. - It's safe to stand on the floating wooden logs. 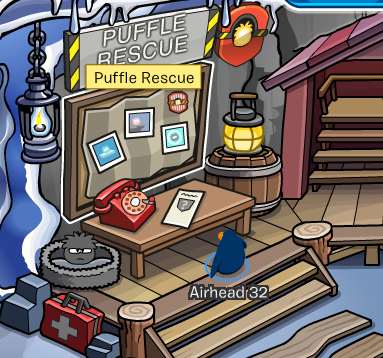 - Once you make your away across the lake you will need to pick up the stranded puffle. 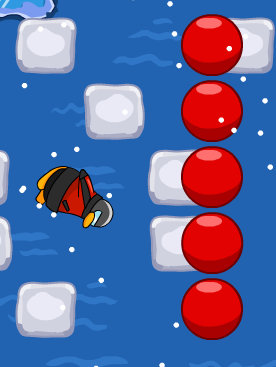 Jump on the ice block with the puffle and it will go on your shoulder. - Level isn't over yet. You must make your way back across to the other side and bring the puffle to safety. - Once you bring the puffle to safety you will recieve a thank you message. - Click any key and you will continue to the next level. - Once you are finished you will be receive your hard-earned coins and maybe a stamp. I hope you enjoyed my guide for the game Puffle Rescue on Club Penguin. I hope it was helpful for you and that you become the best Puffle Rescuer on the Club Penguin island.